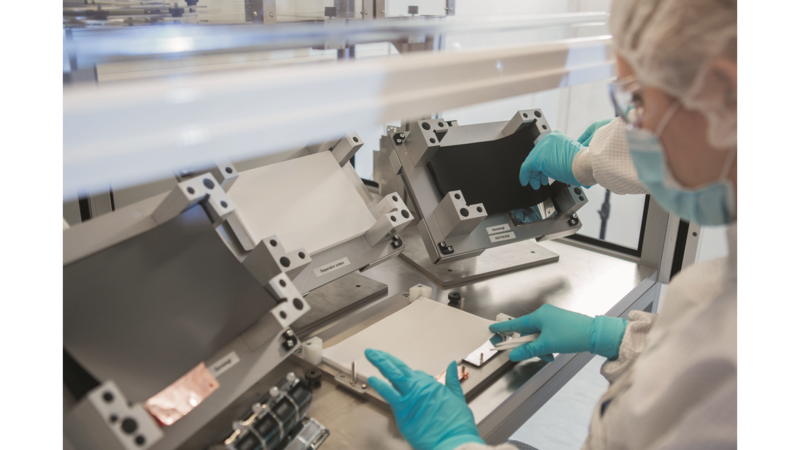 In order to protect battery technology from failure ranging from material-conditioned short circuits to explosions, separators are installed in battery cells. They act as spacers insulating the electrically active electrodes - the cathode and the anode - from one another, so that internal short-circuiting can be avoided. At the same time, however, the separator has to be permeable for the lithium ions that enable the cell to operate in the first place. So far, the so-called MacMullin number has been used as one of the parameters determining the permeability of a separator. Here, the electrical resistance in a battery or test cell is measured respectively with and without a separator. The quotient of the two values yields the specific parameter to assess separator performance. However, this measurement technology does not distinguish between the different ions in the cell and measures overall resistance, and only vague conclusions can be drawn regarding lithium transport proper, which is crucial to battery performance. Using a new measuring method, scientists of the Institute for Applied Materials (IAM) have succeeded in accurately establishing maximum possible lithium flow in a separator. In an experimental set-up with two lithium electrodes and liquid electrolyte, the cell is charged with direct current. As soon as a detected limiting current is exceeded, the lithium ions can no longer be transported swiftly enough. Measurements at this point reveal the maximum lithium mobility of the electrolyte. Measuring is repeated using a separator. With the difference in values with and without the separator, reduced performance owing to the tested separator can ultimately be established.